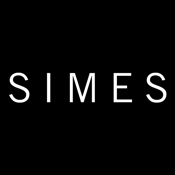 The official SIMES application for iPad which is dedicated to all lighting professionals offers a new way to choose and design the best solutions for outdoor lighting. CATALOGUE, organized in product families and including technical informations and pictures of completed projects, allows to easily find the right products for any specific need. PRODUCTS HIGHLIGHT, a section that presents the new and the latest updates on SIMES products. PROJECT REFERENCES, a useful collection of project pictures divided into different arguments and completed with the SIMES sketchbook collection, a visual guide to deal with specific themes on architectural outdoor lighting design. NEWS & EVENTS, to keep up to date with all the events held and planned in Italy and worldwide. CONTACTS, a simple form to fill out in order to send any real-time messages or requirements. You’ll be contacted soon by our team.